Veronica Swift, a jazz singer whose repertoire is built on the Great American Songbook, plus bebop and vocalese classics, along with prolific pianist Emmet Cohen, the 2019 Cole Porter Fellowship Winner awarded by the American Pianists Association, will perform in a special concert on Friday, June 28th at 7:30 pm. The concert will take place at the state-of-the-art Glenn and Awdry Flickinger Performing Arts Center located in Buffalo. 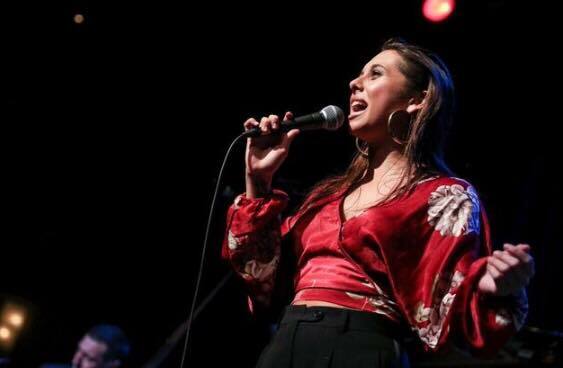 Before graduating from the University of Miami’s Frost School of Music in 2016, the Virginia native had already taken second place (2015) in the influential Thelonious Monk Jazz Competition. She also had previously recorded three albums (two by age 13), headlined the Telluride Jazz Festival and performed in Dizzy’s Club Coca-Cola at Lincoln Center. After college, Swift made her way to the jazz capital of the world, New York City. Performing throughout the city and establishing a regular appearance at the famous jazz club, Birdland. Including appearances at the Jazz At Lincoln Center. Appearing together with the likes of Jon Hendricks, Esperanza Spalding, Joe Lovano, Danilo Perez, Chris Botti, and others. Shortly thereafter, Swift began to tour with the Benny Green Trio and the Emmet Cohen Trio. Touring has led to her appearing throughout the country, including a much-acclaimed performance at the Monterey Jazz Festival. Veronica Swift was born into and was destined for jazz. Her parents, jazz singer and educator Stephanie Nakasian and the late jazz pianist Hod O’Brien, took her on tour when she was a child. She sang with her family at Blues Alley in Washington, D.C., the Jazz Standard in New York City, The Great Waters Music Festival in New Hampshire, and other venues. “It’s not often you hear one so young interpret the sounds of a seasoned jazz performer and make everything she touches her own,” wrote a reviewer for Variety. “That’s Veronica Swift.” The vocalist is “an adept lyrical interpreter” who puts on “a master class on space and dynamics,” according to a JazzTimes writer. Swift’s 2015 album, “Lonely Woman,” features some of the hottest young players in jazz, including Cohen, Benny Benack III, Daryl Johns, Matt Wigler and Scott Lowrie. “Let’s Sail Away,” her 2017 recording with saxophonist Jeff Rupert, includes a mix of originals and standards. In a 2018 album by Benny Green, “Then and Now”, Swift appears with the famed pianist and all-star ensemble in an album garnering many favorable reviews and prominent airplay. (Reviewed by JazzBuffalo here: “Then and Now.”) She is currently working on a new album for 2019, to be released by Mack Records. Cohen, a powerful and charismatic performer, is a former prodigy who began playing piano at age 3. His “nimble touch, measured stride and warm harmonic vocabulary indicate he’s above any convoluted technical showmanship,” wrote a reviewer for DownBeat. 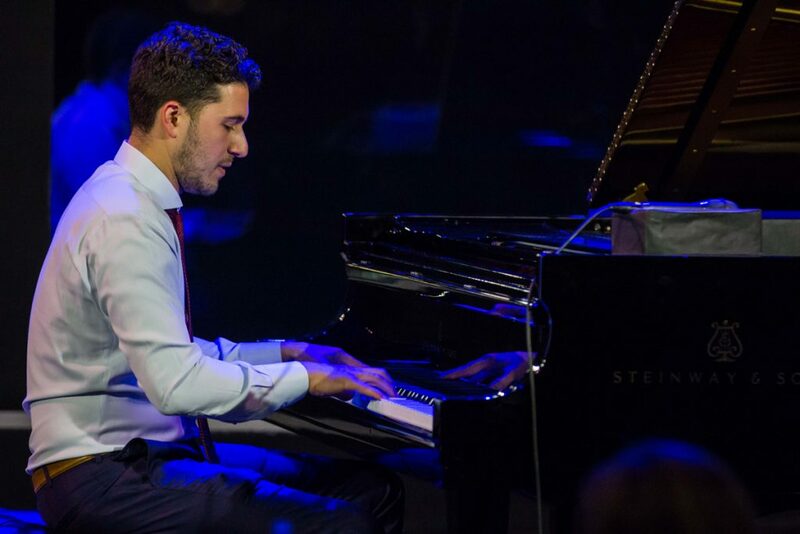 The pianist, who has a master’s degree from the Manhattan School of Music and a bachelor’s from the University of Miami, won the American Jazz Pianists competition in 2014 and was a finalist in the Thelonious Monk International Piano Competition in 2011. This year in 2019, Cohen is awarded the prestigious Cole Porter Fellowship Award given out by the American Pianists Association. The Award includes a recording contract with Mack Records. Most recently, Emmet released “Dirty in Detroit”, a live recording from the Dirty Dog Jazz Café in Detroit. In addition to leading The Emmet Cohen Trio, he is a member of Christian McBride’s trio Tip City, the Ali Jackson Trio, and the Herlin Riley Quartet. He has received much acclaim for his Master Legacy Series recordings with the legendary bassist Ron Carter and drummer Jimmy Cobb. Cohen also performs regularly with Benny Golson, Jimmy Heath, Kurt Elling, and others. At the 2018 Northwest Jazz Festival in Historic Lewiston, NY, Veronica Swift appeared with the Benny Green Trio. The Emmet Trio also appeared in the festival. Receiving rousing standing ovations, both performances were two of several highlights at the festival. The event will take place in the Glenn and Awdry Flickinger Performing Arts Center. 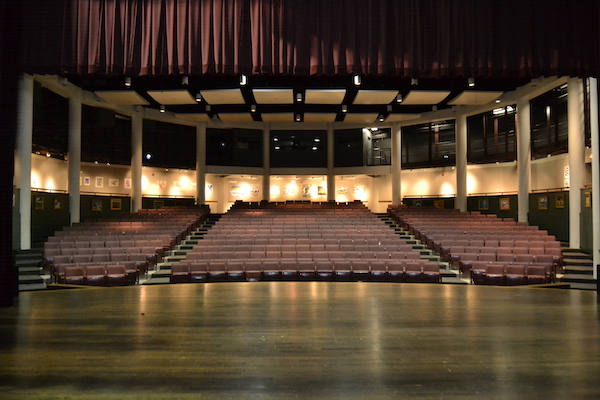 The state-of-the-art professional performing arts venue is located on the Nichols complex at Colvin And Amherst Street in Buffalo. The venue is currently home to Neglia Ballet, Chamber Music featuring BPO members, and dance companies. JazzBuffalo welcomes this new partnership to produce future jazz concerts of the highest quality. Early Bird pricing of $24.75 will be in place until Tuesday, April 30th. After April 30th, ticket prices will increase to $29.75. The day of the show / at the door price will be $35. Tickets are available immediately below. Get tickets soon for what is sure to be a memorable concert.